Upon the recommendation of Very Rev. Gabriel Haber, osbm, Provincial Superior, Bishop David appointed effective September 1, 2012:The Order of Saint Basil the Great will hold its General Chapter in Rome from July 2-20. 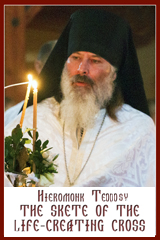 The Chapter will consider various pastoral matters concerning the Basilian Order, as well as elect a new Proto-Archimandrite and General Council. Canadian delegates to the General Chapter are Very Rev. Gabriel Haber, osbm, Provincial Superior, and Rev. 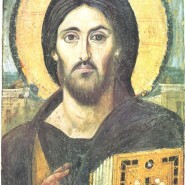 Josaphat Tyrkalo, osbm, Pastor, Protection of the Mother of God Parish, Vancouver. Rev. Daniel Wach, osbm, as Pastor of Lamont and District Parishes; also, as directed by Father Gabriel, Father Daniel will serve as Director of the Basilian House of Studies, Edmonton. Rev. Thomas Kobak, osbm, as Assistant Pastor of Saints Peter and Paul Parish, Mundare.